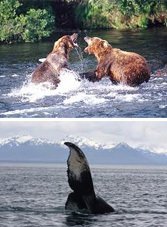 Experience Alaska on this Mountain Valley Explorer Cruise/Tour! 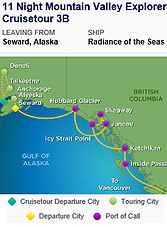 There is no better way to experience Alaska than on a Cruise/Tour on the Radiance of the Seas. Explore Denali on a 4 Night Land Tour and then cruise to several Alaskan ports! *Rate is based on double occupancy. Inside rate is based on a category N. Ocean rate is based on a category I. Balcony rate is based on a category E2. Suite rate is based on a category GS. Rates are subject to change and are based on availability at the time of booking. Additional cabin categories may be available at the time of booking. A non-refundable deposit of $50 per person is required to reserve your stateroom by October 20, 2015. A second deposit of $200 per person is due by December 01, 2015. Final payment is due by June 01, 2016. Space is limited! Contact your GlobeTrek Travel Agent TODAY to reserve your stateroom!